Premium Performance: 5V/1A stable output current of this Single Port USB Wall Charger provides fast charging speed for you to save more time, protect your phone battery well and replace your original Cell Phone Wall Charger perfectly. Safety Assurance: One Port USB Wall Chargers with premium fire proof shell and over-current, over-charge, over-heat protection circuitry keep you and your devices safe. Travel Ready: 100-220V board voltage of this Wall Charger Adapter fits US and even global electrical standards perfectly. Compact, portable and single USB port design is ideal for home, business, office and worldwide travel or sharing them with your friends. Board Compatibility: UorMe Wall Charger Plug, compatible with iPhone, Samsung Galaxy, iPad, iPod, Tablet, HTC, Nexus, Huawei, Sony, Motorola Droid RAZR MAXX, Blackberry, echo dot, MP3 players, smart phones, Bluetooth Speaker, and more USB devices. 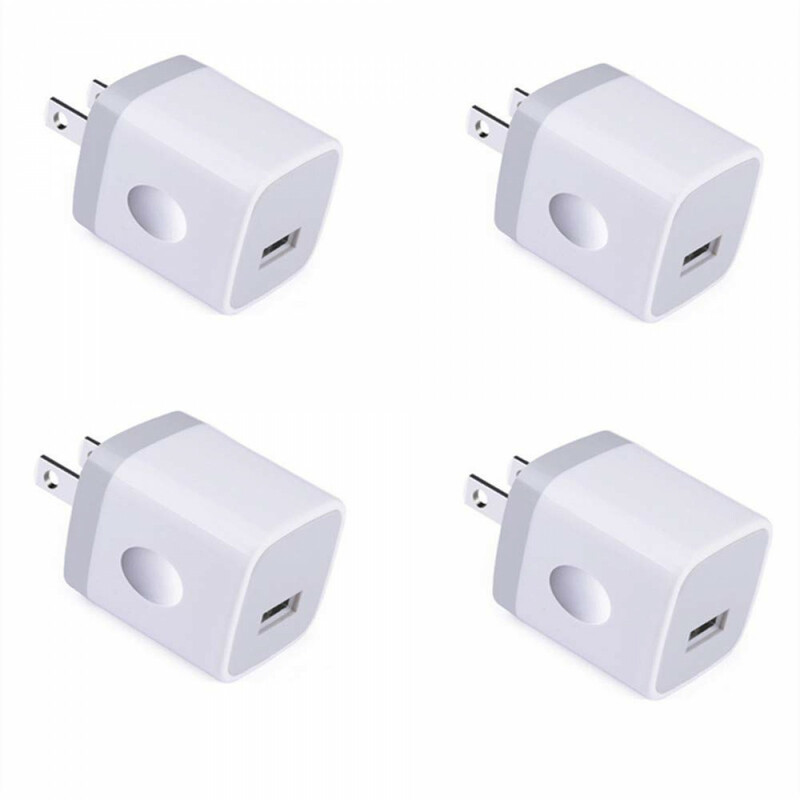 What You Get: 4-Pack White Single USB Wall Plug; 12-month Replacement Warranty, 30-Day Money Back Guarantee and Friendly Customer Service. If you have any question about our Single USB charger plug, you are welcomed to contact us and we promise we will help you out effectively. Multiple protection: USB Wall Charger provides overheat, over-current, over-charging, over-voltage, over-discharging and short-circuit protection. 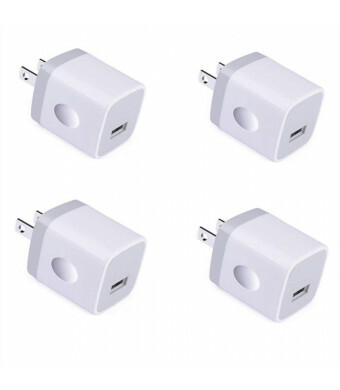 USB Charger Cube is applicable for voltage from AC 100 - 240 V, so this Wall Plug can be used worldwide. This USB Wall Plug Power Adapter can protect your battery and replace your original Cell Phone Charger perfectly. Compact, lightweight and one USB port design of Wall Charger Travel is ideal for home, business, office and worldwide travel or sharing them with your friends. us at [email protected], we will help you out effectively as soon as possible.